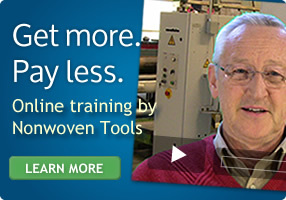 The strength of nonwoven fabric is determined by literally pulling the fabric apart. 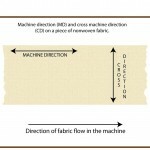 Testing the strength of the fabric is done frequently to make sure the fabric is within the customer’s specifications. 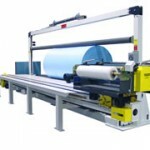 The testing machine used is called a tensile tester because it measures the machine direction (MD) and cross machine direction (CD) tensiles (strengths). 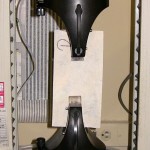 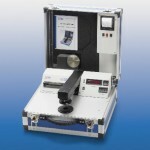 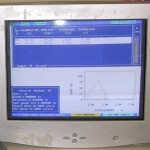 The tester is connected to a computer that plots a curve of the force applied. 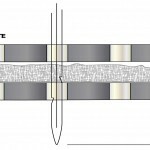 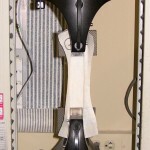 The tester will show the maximum strength of the fabric as well as the breaking strength and elongation, which is the distance the material stretched before it breaks. 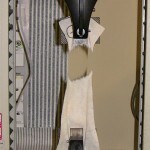 The picture show fabric under test as the jaws of the tester pull it apart. 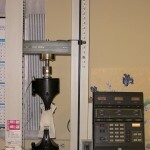 Tensile values are measured in kilo/Newtons (metric) or pounds/foot (English).